The ICC is nothing but a Western tool that targets African leaders who they cannot control. AFRICANGLOB – Within 20 days, three African countries have left the International Criminal Court (ICC), the much-hated Netherlands-based tribunal whose preoccupation over the past 14 years has been to humiliate Africans. Burundi made history early on October 6 when it announced its withdrawal. It was followed by South Africa last week and The Gambia on Tuesday. The withdrawals follow years of complaints by Africans over the disproportionate manner in which the court discharged its mandate. Formed in 2002 to investigate and prosecute people involved in genocide, war crimes and crimes against humanity, the ICC has 122 member countries, 34 of which are African. The United States, China, Japan, India, Pakistan, Israel, and Turkey have not ratified the Rome Statute that establishes the ICC and thus are not under the jurisdiction of the court. 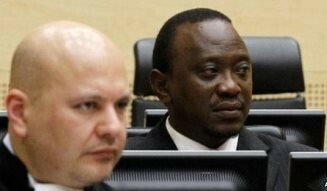 But the Hague-based court has only targeted Africans, six of them on charges of war crimes and crimes against humanity. It is investigating nine cases in the Democratic Republic of Congo, Mali, Sudan (Darfur), Uganda, Central African Republic (two), Côte d’Ivoire, Kenya and Libya. Top African leaders, including sitting heads of state and government have been targeted — Sudan’s Omar Hassan Al Bashir and Uhuru Kenyatta of Kenya and his deputy William Ruto. world, committed crimes against humanity are walking free. Obvious examples include former American President, George W Bush and ex-British Prime Minister Tony Blair who started a war in Iraq in March 2003, alleging its then President, Saddam Hussein possessed weapons of mass destruction. Investigations carried out later showed that Hussein had no such lethal weapons but the invading Anglo-American forces had already murdered him in the most humiliating fashion. Between 151 000 and 600 000 Iraqis were killed in the four-year conflict and the country has not achieved peace to this day. Two years before the Iraqi invasion, Bush had sent forces into Afghanistan supposedly to pursue al-Qaeda whom he accused of championing attacks on New York. More than 26 000 civilians died in the war. In March 2011, NATO-led forces invaded Libya, ostensibly to implement a UN resolution for a no-fly zone over the North African country. NATO exceeded the UN mandate to hunt down Libya President, Muammar Gaddafi. As they did with Hussein, they killed Gaddafi in the most animalistic manner. Libya, like Iraq, has not known peace since the NATO invasion. Although Zimbabwe is not a member of the ICC, President Mugabe has led the African charge against the court with much courage that some African leaders regrettably lack, or lacked, before Burundi’s withdrawal. Mr Sheriff Bojang, The Gambia’s Minister of Information was also very brutal in his assessment of the ICC track record. He said Blair should have been indicted over the Iraq war but the ICC refused. We have to make it clear that we are not defending African leaders who commit crimes against humanity. What we are arguing is that everyone who commits these crimes must face the consequences of their actions, whether they are African, American, Asian or European. If the ICC was an honourable institution committed to fair application of international law, it would have brought Messrs Bush and Blair before it and sent them to jail for the self-evident crimes against humanity they committed. But we learn a few lessons from the ICC experience. First, Africans must always think through all conventions put forward for them to sign and ratify. They must not sign them simply because America convinces them to yet in the case of the Rome Statute, America itself ironically sees no reason for it to. This applies to trade agreements as well, most of which are drafted in the West in flowery language but are designed to perpetuate the lowly position of the mother continent as a supplier of cheap raw materials for processing in Europe and America. Second, Africans must always seek domestic remedies to their differences. We are saying this because most of the cases before the ICC were referred to that tribunal by Africans themselves. This suggests that we lack confidence in our justice delivery systems, which must not be the case. Third, Africans and their leaders must be disciplined in their politics. This business of fighting among ourselves all the time will not take us anywhere. It is these conflicts that the Western-controlled ICC will take advantage of to justify their targeting of some among us. Burundi, The Gambia and South Africa have shown the way. We now urge all African countries who are party to the Rome Statute to leave the discredited court.